In a Rainbow of plain colours, these 100% cotton rib short-sleeved bodies are essential for layering with the rest of the colourful Frugi range this autumn/winter. 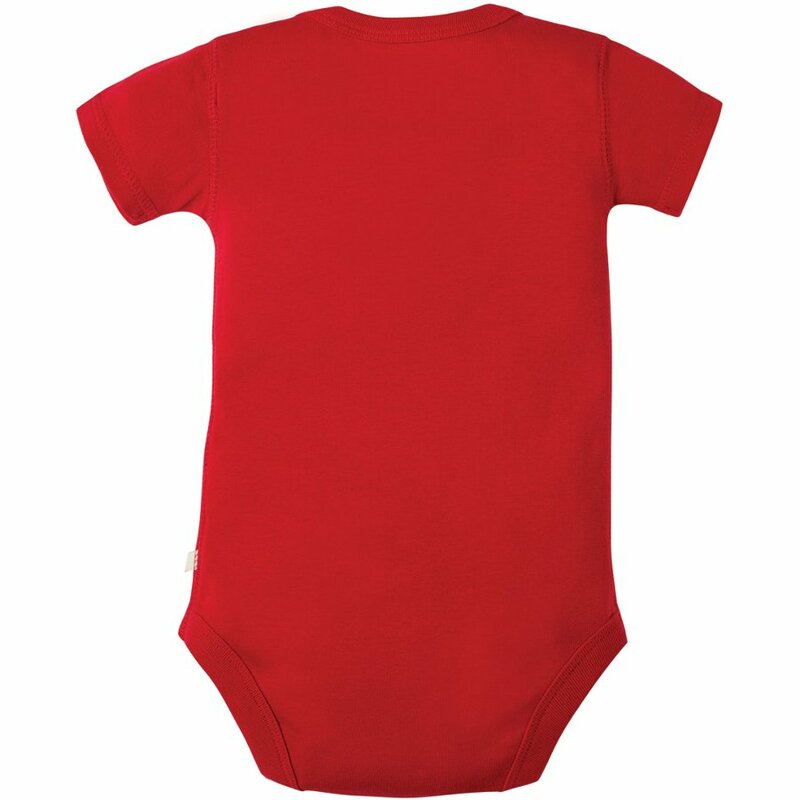 With poppers underneath, extra room for cloth nappies and envelope neck as well as a printed back label, they are comfortable and easy to change, a winner for babies and adults alike. 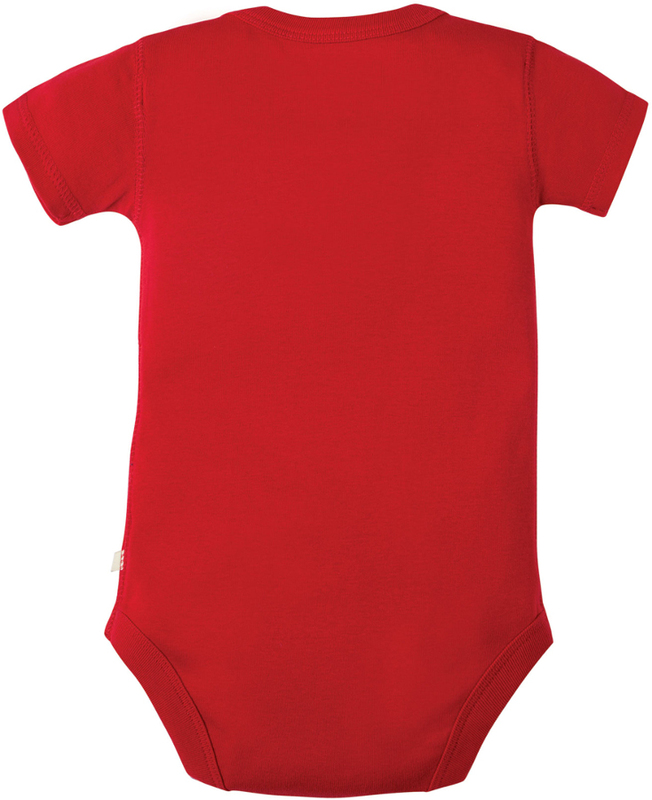 Frugi clothing is made with organic certified cotton which isn't sprayed with any chemical pesticides that can harm the environment or irritate baby-soft skin - so it's perfect for babies with eczema. Everything is made in fair trade factories where employees are given a fair wage as well as access to a free GP for them and their families. 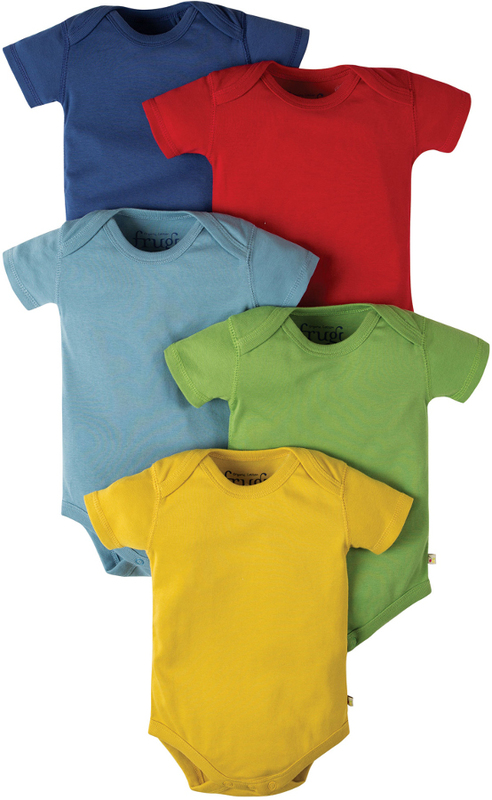 The Frugi Over The Rainbow Baby Body - Pack of 5 product ethics are indicated below. To learn more about these product ethics and to see related products, follow the links below. As the baby is not yet born, I can't rate the garments. But the brand is a good one. 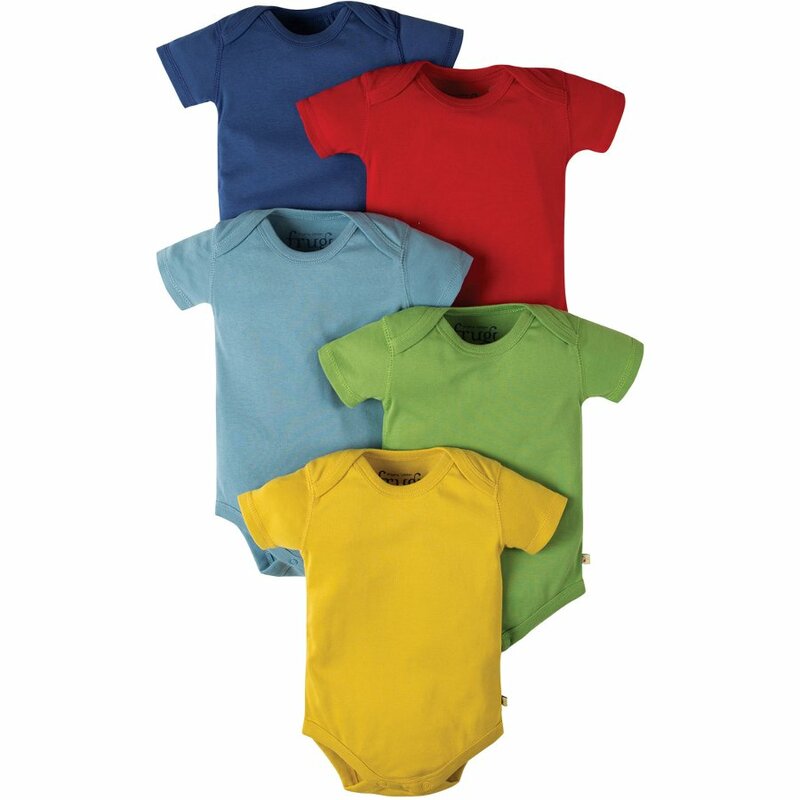 There are currently no questions to display about Frugi Over The Rainbow Baby Body - Pack of 5. 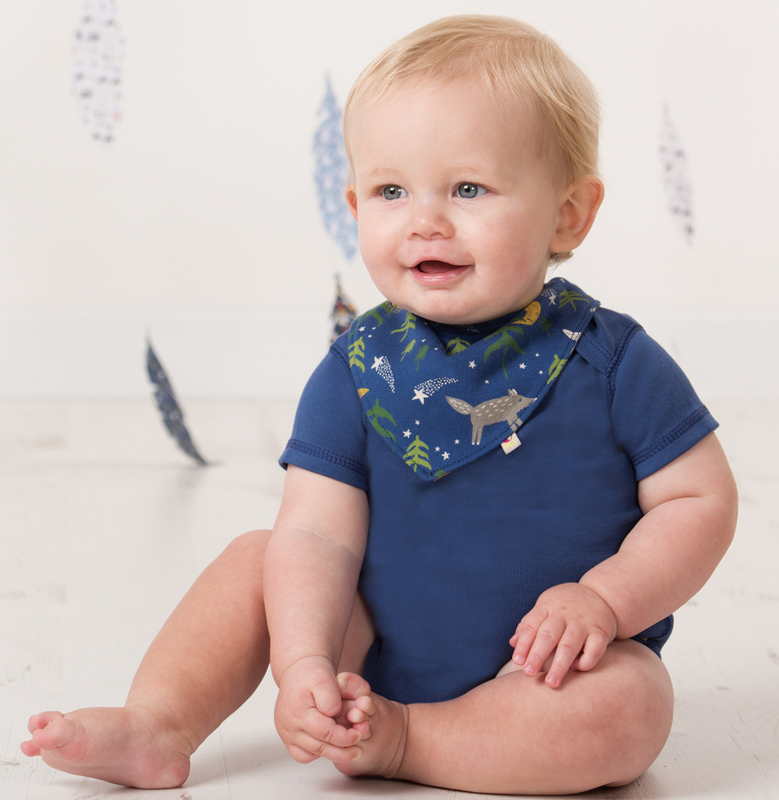 Frugi is a family business whose clothing is always made from premium quality organic materials, produced without any chemical pesticides or fertilisers. 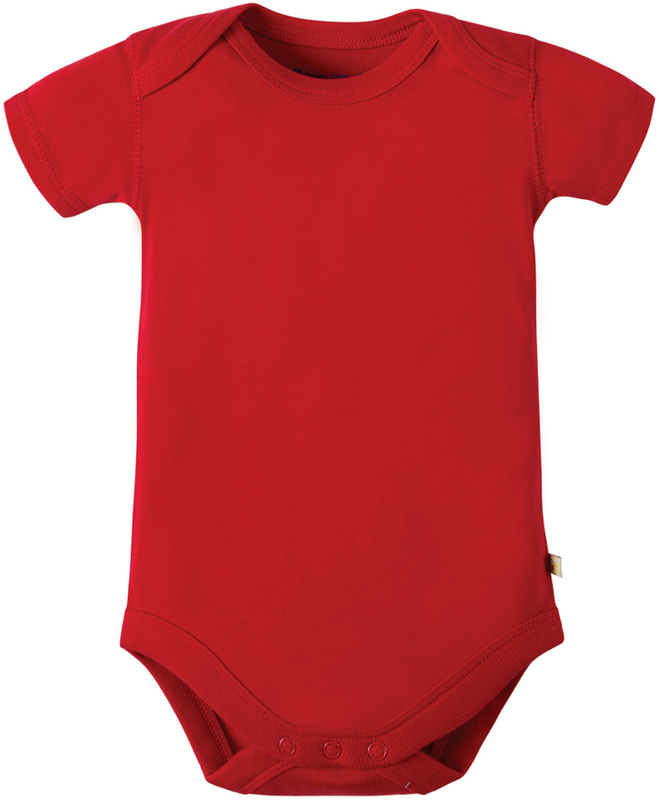 As well as this being better for the environment, this is good news for children’s sensitive skin as organic cotton feels softer (fibres are left intact rather than being broken down by chemicals in the production process), it smells cleaner (there’s no formaldehyde used to finish it), and it’s less likely to trigger allergies (it’s more breathable as well as free from harsh chemicals). Frugi is not just organic however. 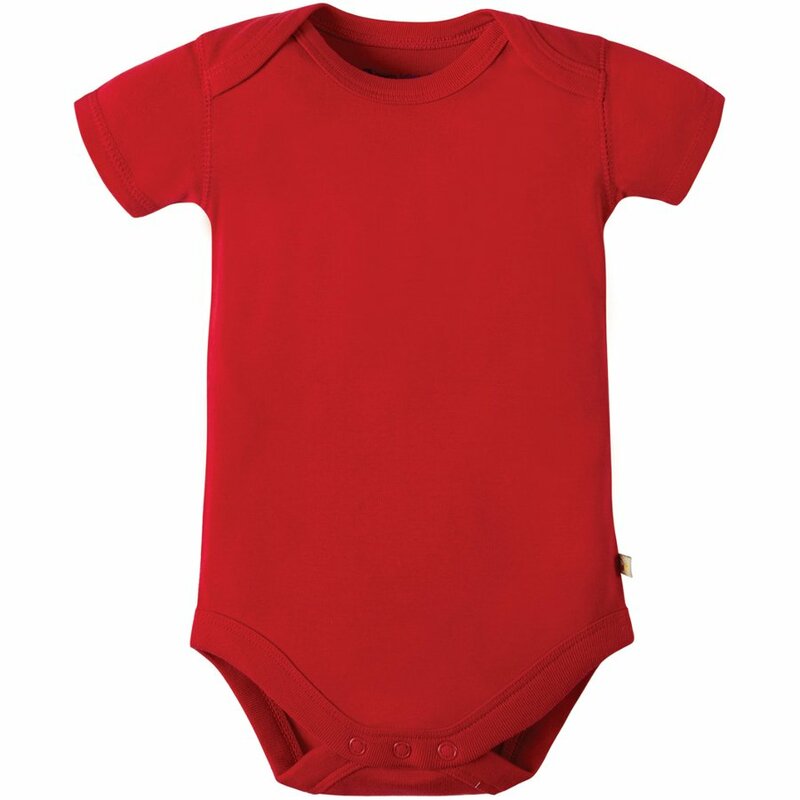 They also believe strongly in the importance of fair trade; all of the cotton they use comes from a Fairtrade labelled supplier, one which they have used since the very beginning of their business, and their quality of their factories reflect fair trading ethics. Added to all of this, Frugi’s clothing collection is hardwearing and versatile, generously cut and reinforced in all of the right places to protect your little and their clothes against bumps, scrapes and tumbles. It’s an irresistible collection.